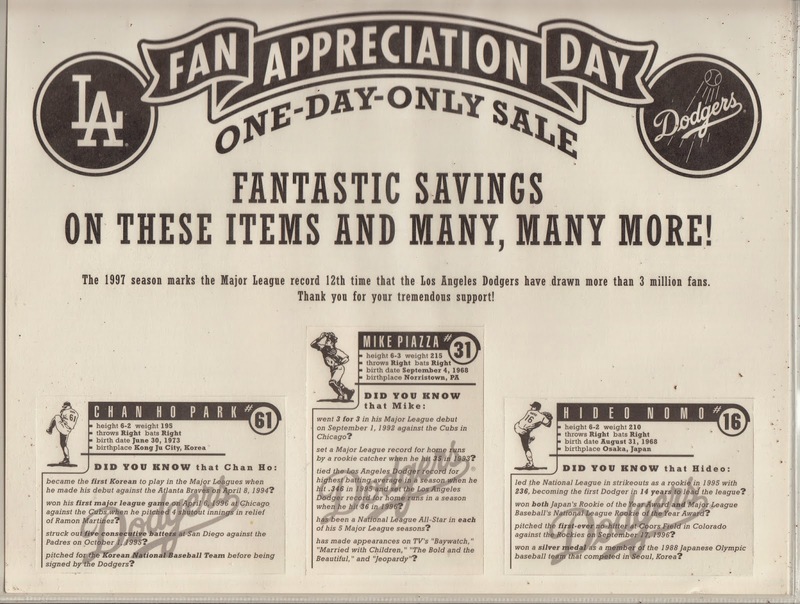 I recently picked up a bunch of Dodger Fan Appreciation card sheets, so I will share them one-by-one on this blog. I will start with the very first sheet issued by the team. 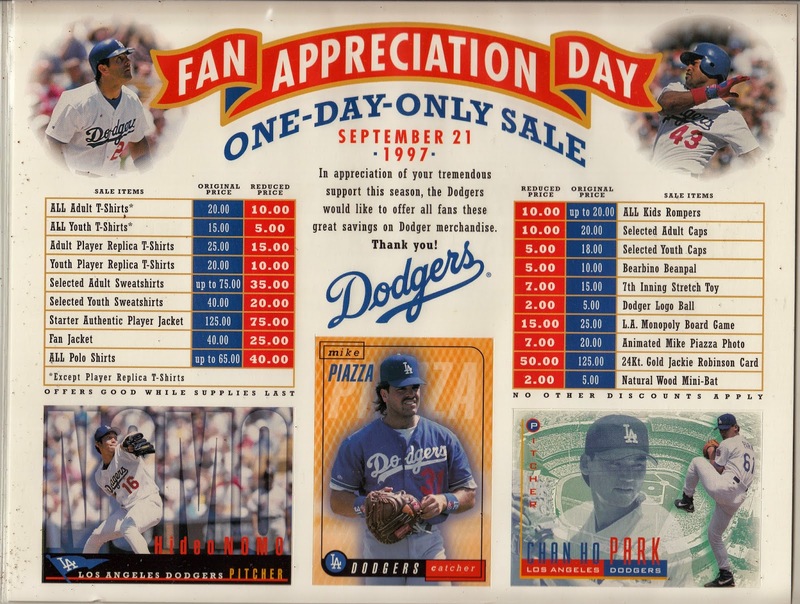 It is from the last home game of the 1997 season and features perforated Baseball cards of Hideo Nomo, Mike Piazza and Chan Ho Park. There are also photographs of Eric Karros and Raul Mondesi on the corners. These sheets are not scarce at all. They measure 8.5" x 11" and can be purchased for a song and a dance. I received a group of six different sheets for about $10.00 shipped. Click any pic to embiggen.